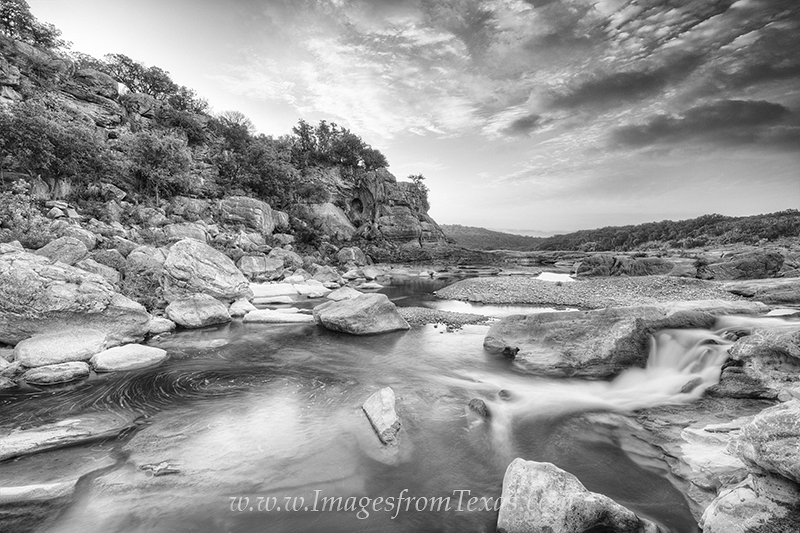 This black and white photograph from the Texas Hill Country was taken at sunrise along the Pedernales River. The clouds, river, and rocks made for a dramatic landscape when converted into this format. Photo © copyright by Rob Greebon.